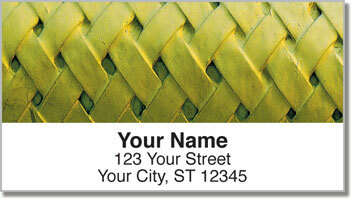 Imagery of hand-woven baskets with colorful photo filters creates an eye-catching way to top off your outgoing mail. It's the perfect choice for folks who love homemade arts and crafts. This design has a down-home feel that will add a little country charm to boring brown paper packages and plain white envelopes. But what you'll really appreciate about your new labels is how much time they save you on a daily basis. Preparing mail becomes a snap thanks to the convenient, self-adhesive backing. 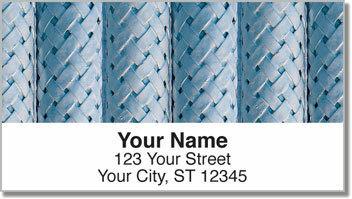 You'll never have to scribble out your return address ever again! 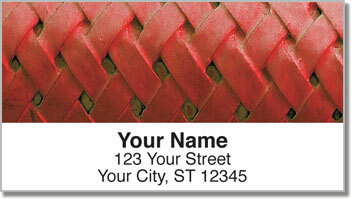 Get your very own Basket Weave Address Labels now! Order them with a set of matching checks!